Samford University’s School of the Arts and Orlean Beeson School of Education graduates and families were treated to a unique commencement address by art professor emeritus Lowell Vann on May 12. The School of the Arts awarded 53 degrees, including 6 Bachelor of Arts, 29 Bachelor of Fine Arts, 14 Bachelor of Music, one Bachelor of Music Education and 3 Master of Music. Orlean Beeson School of Education awarded 138 degrees, including 48 Bachelor of Arts, three Bachelor of Science, 39 Bachelor of Science in Education, 26 Master of Science in Education, two Educational Specialist and 20 Doctor of Education. Vann, well-known for his ephemeral chalk drawings, created a beautiful landscape with eagles leaving their nest as he spoke about the “thermals” that have lifted these Samford students to soar during their learning experience at Samford. From books to friends, voices, service and future, he illuminated the resources and responsibilities that have been bestowed upon the graduates and their charge moving forward. He encouraged students to consider these attributes and reflect upon how to lead between the now and the future. Vann retired from Samford’s School of the Arts after serving as a faculty member for 46 years. He is a graduate of Samford University and went on to receive his master’s degree from University of Alabama and his Ph. D. doctorate from Florida State University. Ordained to the ministry in 1956, Vann has staffed positions in several churches. He recently became a member of Samford University’s Founders Club and School of the Arts Advisory Board. His work, which consists of a variety of mediums including paintings, pottery and drawings, have been shared throughout the region in galleries, exhibitions and worship services. 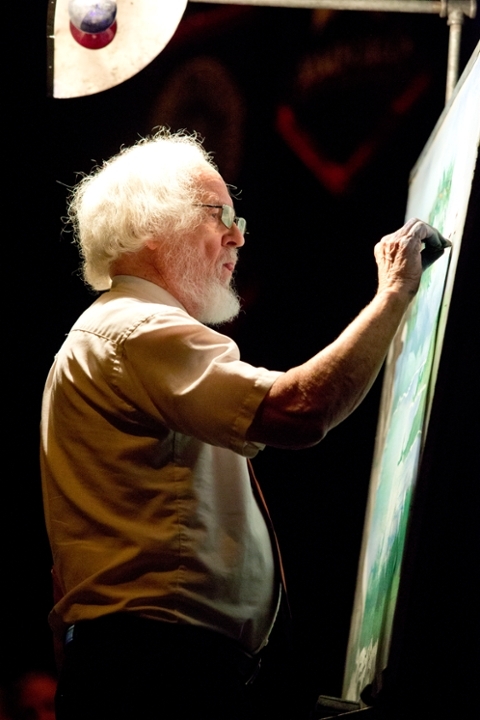 He has done more than 1,600 chalk drawing presentations for worship services since 1953 and is part of a Samford tradition every Christmas and Easter for convocation programs. The ceremony included performances from the School of the Arts A Cappella Choir, directed by Philip Copeland, which left immediately for an international competition in Europe. A group scripture reading of Isaiah: 40:25-31 included three students from each school. School of the Arts graduates and families attended a reception in the art gallery after the ceremony featuring works by graduating seniors. Prior to the commencement, School of the Arts faculty, families and seniors gathered for the annual brunch for fellowship and an impromptu sharing of Samford memories. Orlean Beeson School of Education students also attended a graduation brunch before the commencement ceremony.